Education in the areas of Science, Technology, Engineering and Mathematics (STEM) is undoubtedly important, in fact crucial, to Australia’s future industries and subsequent economy. Innovation and growth in industries such as defence, space and advanced manufacturing will lead to significant job growth and present exciting employment opportunities for both men and women. In fact, a 2017 report by the CSIRO and the Australian Computer Society found STEM knowledge is associated with 75 per cent of the fastest-growing occupations and 44 per cent of Australian jobs will be impacted by advanced technologies such as automation and artificial intelligence. These statistics reveal an exciting future but it will not be without its challenges especially when it comes to ensuring the country has the skilled workforce needed to fill these positions. In order to meet Australia’s future job needs and drive innovation, governments and schools have placed a strong focus on increasing participation in STEM subjects. Schools across the country are investing in new facilities, technologies and resources to enhance their STEM offering but there is a second movement running parallel to this with girls’ schools also trying to change stereotypes that STEM subjects are boys’ subjects. 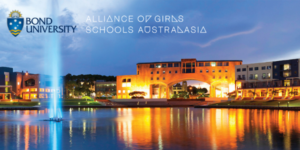 In South Australia, Loreto College Marryatville is striving to address the gender-based disparity within the STEM workforce and has recently opened a new state-of-the-art Science Centre. Loreto College Marryatville Principal Nicole Archard says the Centre’s building design and construction has not only created an additional learning experience for girls, but it is also challenging the gender stereotype that science is a boys’ subject. “We know that globally the STEM workforce suffers from gender-segregation with regard to the equal participation of women and men in these fields, as well as gender-stratification, which concerns the equal representation of women and men in positions of leadership,” Dr Archard says. Consequently, women are disadvantaged twice when it comes to STEM careers. “Firstly, they are less likely to be employed in the stereotypically male-dominated industries of STEM, and then once employed, they are less likely to be promoted to positions of authority, which is very concerning,” she says. The gender-based disparity does not start in the workforce but at school where subjects are often still regarded as girls or boys subjects based on social stereotypes, argues Dr Archard. The Girls’ Future – Our Future 2017 report developed by Deakin University and the University of Melbourne found Australian girls have one of the lowest rates of STEM involvement in the Western world. This situation is then exacerbated when girls enter university to study engineering, in which physics is a prerequisite, then when female engineers attempt to enter a male-dominated workforce, and then again when the small number of women in engineering attempt to gain leadership promotion. “At each stage of this process, the number of women gets smaller and smaller; reinforcing and reproducing gender inequality,” Dr Archard says. One way to help tackle this is the promotion of female role models making strides in the fields of STEM, which highlights opportunities and success as well as fostering confidence. With this in mind, Loreto College Marryatville purposely engaged a female structural engineer from Wallbridge Gilbert Aztec to oversee the new Science Centre’s construction. “It’s incredibly important for girls to have positive female role models and understand the diverse range of career opportunities available to them even in traditionally male-dominated industries. Loreto College Marryatville’s new Science Centre has also been designed to become part of the learning experience itself in another effort to engage girls’ in science subjects. “We saw the Science Centre development as a unique opportunity to teach girls about engineering and construction. One of the unique elements is the fact that all services and structural beams have been left exposed to allow the girls to see and learn how the various services function as well as understand the structural elements of the building. This way, the building itself becomes part of the learning process,” Dr Archard says. Increasing female representation across the fields of STEM will not happen overnight but changing the stereotype that they are male-dominated is the first step in encouraging girls to pursue future careers in these burgeoning areas.